Another blogger on the block! 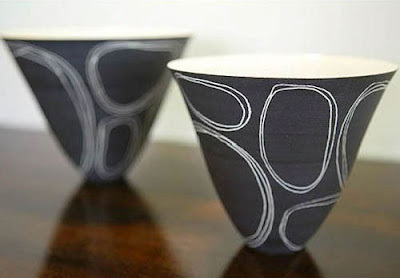 Sophie Milne is a Melbourne-based ceramicist based at the Northcote Pottery studios in Melbourne. She makes lovely functional and decorative vessels that you can now read more about at her new blog six hundred degrees. Sophie has also taken on the challenge of developing and managing the sparkly new Pan ceramics gallery housed in the pottery complex that opened with what sounds like a fine shindig the other night. Check out her blog and her website, and if you're in Melbourne check out the gallery!